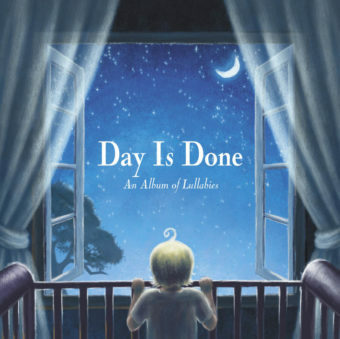 I REMEMBER A LULLABY was commissioned through the Pittsburgh Symphony Orchestra’s Music Makers Project, which is dedicated to creating new orchestral works for children. The work involves five young soloists (an artist, a singer, an actor, a violinist and a dancer) as they each recount the importance that a lullaby had in their choosing a path in the arts. The genesis of the work came about through an Early Childhood Symposium, sponsored by the PSO, which introduced scientific documentation indicating that children from ages 0 to 3 have increased developmental skills when exposed to music on a regular basis. The composer’s intention was to drive the point home that when children are exposed to music in their early years they feel more comfortable expressing themselves in artistic modes or even non-artistic modes. In other words, it comes down to educating children and adults as to the need for art and music as a fundamental basic in life. I REMEMBER A LULLABY was written with young soloists (ages 8-12) in mind, but the piece may also be performed with adults doing the solo parts. As the children’s choir introduces the lullaby (an original entitled, Day Is Done) to the audience, it is suggested that they then engage the audience’s participation through singing and hand-movements. The main refrain of the lullaby and its accompanying hand-movements can be taught to the audience just prior to the performance of the piece. 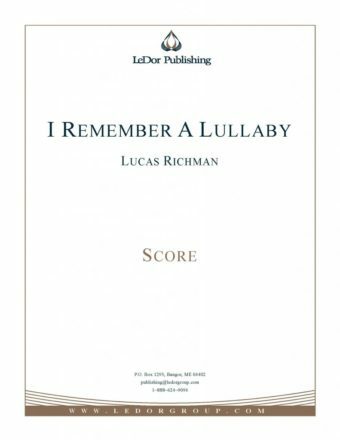 I Remember a Lullaby was premiered in March, 2001, with the composer conducting the Pittsburgh Symphony Orchestra.